Ninety-two years ago, the “New Phantom” (Phantom I) had a lot of expectation to live up to: its predecessors wore the moniker of “The Best Car in the World”. That being said, the Phantom I succeeded beyond what anyone thought possible; and it did so with the grace and distinction which has now come to be identified with Rolls Royce Motor Cars exclusively. As Rolls Royce stated: “Quite simply, it has been the choice of the people who have defined our world and made it turn for the last 90 years”, and we tend to agree. The Phantom VII celebrated the renaissance of Rolls-Royce as it entered a new phase under new custodianship, as its first Goodwood Phantom. It reinvigorated the worlds opinion that Phantoms, and indeed Rolls Royces, are ‘the only conceivable mode of conveyance for the world’s most famous, wealthy and influential individuals’. 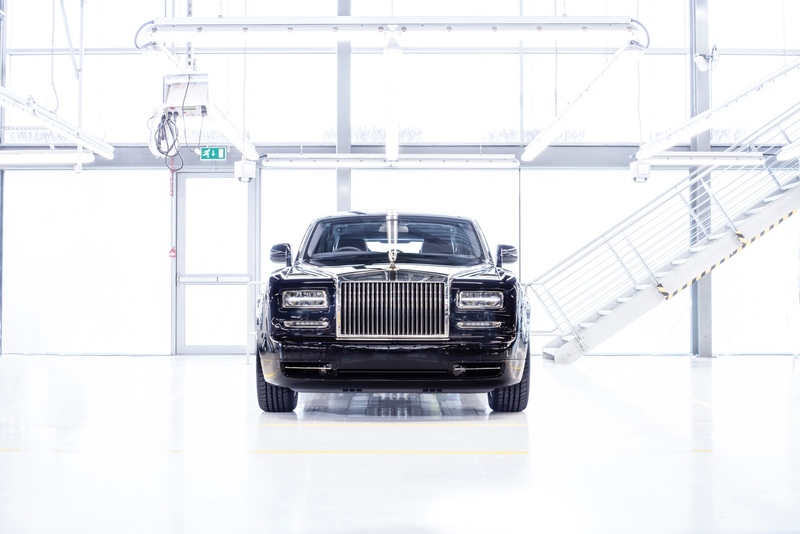 Seventy-eight years after its first incarnation hit the world stage: The Rolls Royce Phantom VII created its own legend all over again; carrying on this newfound legacy for a regal thirteen years. 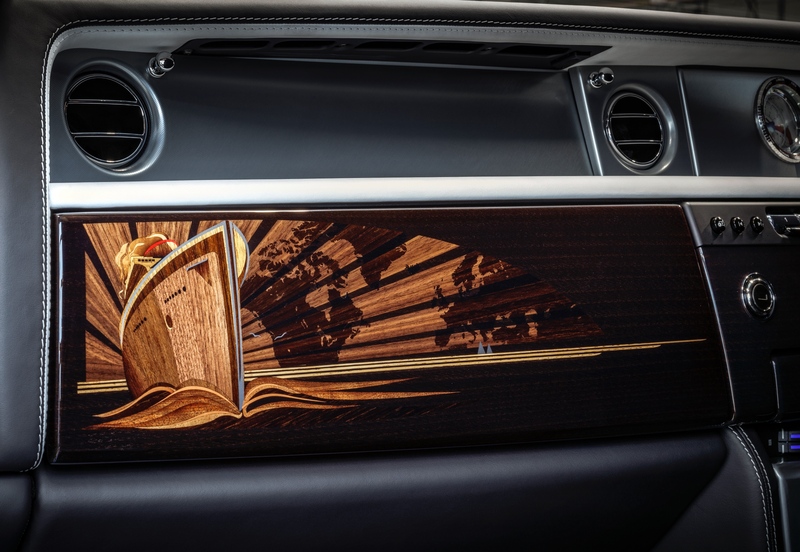 It is only fitting that the final Phantom VII exits the worlds spotlight with an intricate tribute to the craftsmen and women responsible for this iconic models bespoke detail. 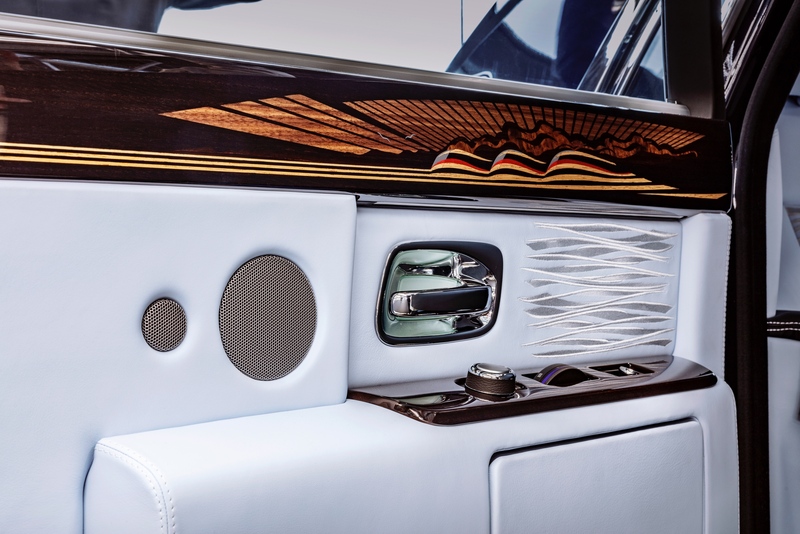 The extended-wheelbase limousine bears homage to the golden era of travel, featuring a stylized 1930s ocean-liner using the art of marquetry; a method favoured throughout the Phantoms lifespan. 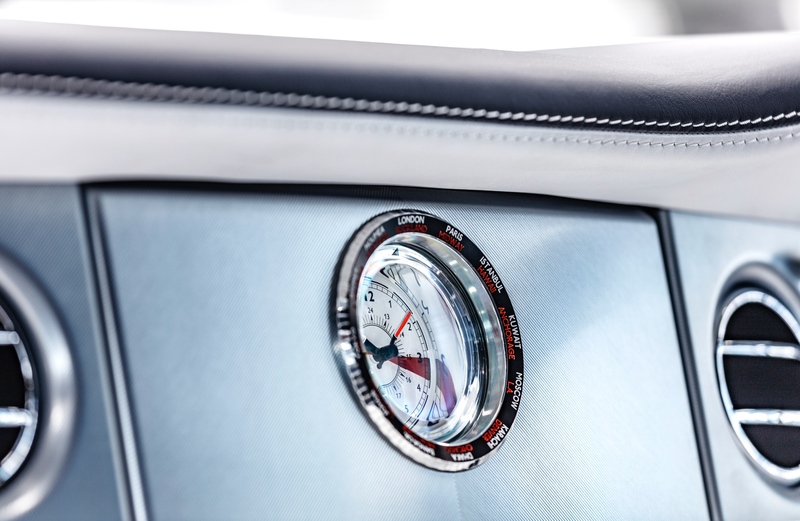 Also adding bespoke nautical touches to this final edition is a Powder Blue leather interior, finished with tone-on-tone embroidery, evoking the sea’s movements; as well as lamb’s-wool carpets that Rolls Royce’s master craftspeople have hand cut to show a wake-effect. A hint toward the Phantom’s exit leaving the world in its wake? Perhaps. 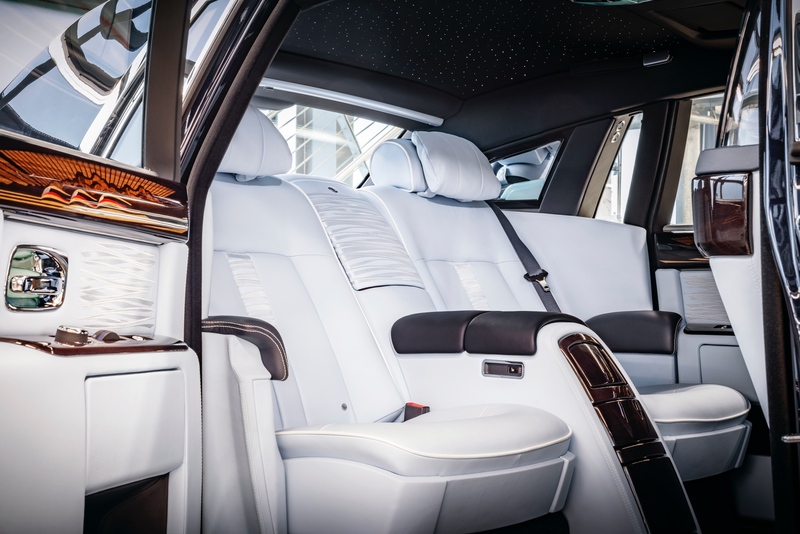 As with every Rolls Royce, this final Phantom VII is adorned with exquisite time pieces in both the front cabin and partition wall. This vehicles particular time pieces have been specially transformed to be reminiscent of HG Wells’ Time Machine, the bezel sitting proud and giving a nod to its predecessors: echoing the aesthetics of radio clocks found on grand ocean liners of the 1930s. With this truly bespoke clock, the owner is offered the opportunity to rotate the bezel, featuring twenty-four different time zones, depending on where in the world they might be. 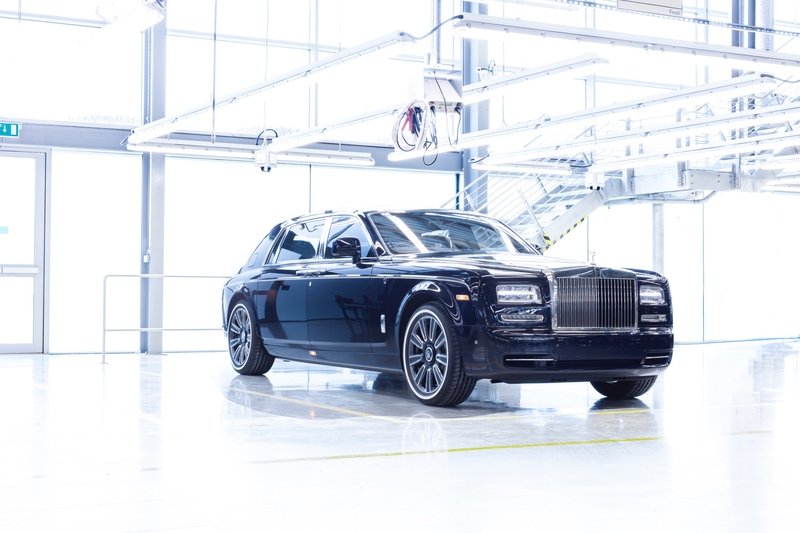 Unlike final build models of other marques, a last-edition Phantom VII will leave a lasting and historically significant impression, one that will be referred back to for decades. As such, the choice of aesthetics is crucial, and this customer has selected their options with absolute scrutiny to allow an overwhelming sense of grandeur; a strong yet understated gesture of thanks to all that came before it. Blanketed in a stunning coat of Blue Velvet paint and paired with a delicate twin coachline and ocean-liner motif on the shoulder, this example truly encapsulates the majesty of travel’s Golden Era; complete with period correct pinstriped tyres and solid silver Spirit of Ecstasy ornament. 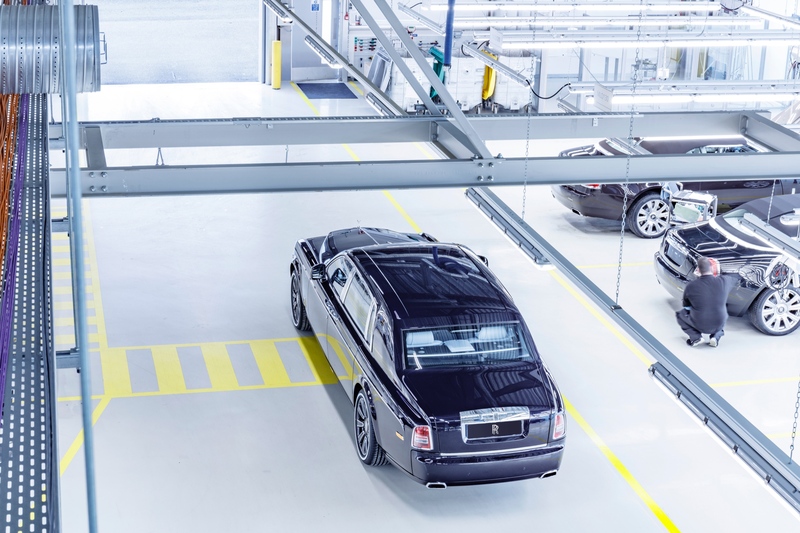 Rolls Royce’s master craftsmen show a deftness of touch and attention-to-detail that is truly unparalleled, and this particular vehicle if only one example of their world-class skills. Phantom VIII is set to, yet again, redefine the limits of luxury and opulence as the Phantom VII graciously bows out after thirteen years. Fortified by a luxuriously sturdy framework of aluminium, the incoming edition will be built to a standard never seen before. This will be the beginning of yet another illustrious chapter for the Phantom name, and indeed the Rolls Royce Motor Cars brand.